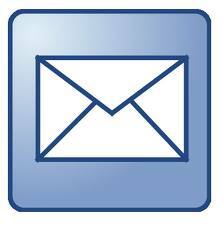 Last summer A Lean Journey Blog co-sponsored with 5S Supply a 5S benchmarking survey. 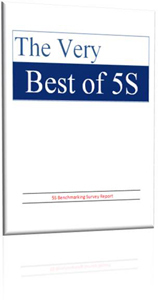 Now I am happy to share with you the 5S benchmarking report - "The Very Best of 5S." This free 30 page eBook is the full summary of a detailed benchmarking survey that 5S Supply sponsored in 2011. See what others are doing, good or bad, when it comes to setting up, implementing and sustaining a world-class 5S system. Some results will confer what you already know and others will surprise you. This manuscript is an in-depth report on 5S Workplace Organization and Standardization. It sheds light on how organizations have successfully created a 5S system or the obstacles and solutions they used to overcome them. Of those surveyed, the overall rank of the effectiveness of their 5S system is a 3 on a scale of 1-5 (1=low, 5=high). This is a clear indication that there is much room for improvement. There are many suggestions and comments presented here to help coach and guide organizations as they improve their 5S systems. The level of cooperation for 5S initiatives is initially low but increases with time with the most resistance coming from the supervisor level. Contrary to this is that upper management is generally supportive of a 5S system, but the top reasons for obstacles for implementation are “lack of management support” and “not enough time.” Another finding is that the amount of training spent on 5S training is relatively low (typically two hours or less). It seems that organizations have a hard time quantifying benefits from 5S (other than 5S Audits). Companies that did calculate the financial benefits proved that the return on investment far exceeds the cost of training, supplies and manpower. The lack of reward & recognition and the ability to engrain 5S into the organization’s culture is another impediment that must be overcome. Over 50 “best practices” are shared and many suggestions on how to properly create a 5S system or improve your current one are included. The Best of 5S from 5S Supply on Vimeo. 5S Supply is offering a free webinar at the end of the month based on the report - “The Very Best of 5S.” Want to see how your 5S System stacks up against others or would you like to learn a few Best Practices? Then, this free webinar is for you! This webinar will be a condense review (20 minute format) of the 5S Benchmarking Survey sponsored by 5S Supply.